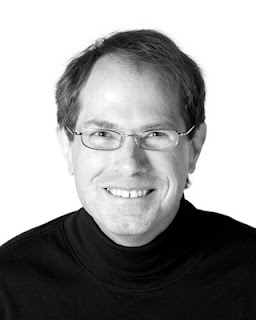 Please welcome Chris Willrich to The Qwillery. Chris is the author of the Gaunt and Bone series. The Silk Map (Gaunt and Bone 2) was published on May 6, 2014 by Pyr. TQ: Welcome back to The Qwillery. Your new novel, The Silk Map (Gaunt and Bone 2), was published on May 6th. Has your writing process changed (or not) from when you wrote The Scroll of Years (2013) to The Silk Map? What is the most challenging thing for you about writing? Chris: Great to be back. The process was very different this time. The Scroll of Years took years of writing at odd moments, and was mostly plotted as I went along. The Silk Map was written in months, on a (mostly) regular schedule, with an outline. It might have a different feel as a result. I think the most challenging thing these days is scheduling, since I can imagine a plot much faster than I can write it, and I’m still getting the hang of estimating how long a section will take. And the rest of life keeps me busy. TQ: What do you wish that you knew about book publishing when The Scroll of Years came out that you know now? TQ: Tell us something about The Silk Map that is not in the book description. Chris: When I wrote The Silk Map, I was often asking myself “How would Michael Moorcock do this?” It’s not so much that it’s an outright Moorcock pastiche, but I was trying to imitate some of the breakneck pacing of his 1960s-1970s sword and sorcery, along with the vivid imagery and the sense that anything could happen. And there are Moorcock-like bits scattered throughout the story, such as a dangerous magic sword, a geographically improbable city, and a ship that sails underneath the desert sands. TQ: Please give us one or two of your favorite non-spoilery lines from The Silk Map. TQ: What kinds of research did you do for The Silk Map? Chris: I dug into a lot of material on the historical “Silk Road” that crossed Central Asia (thank you, Campbell and Mountain View Public Libraries.) A children’s book, Kathryn Ceceri’s The Silk Road: 20 Projects Explore the World’s Most Famous Trade Route, gave me a lot of early ideas, including the suggestion that a form of the Cinderella story may have originated in China and, changing form along the way, crossed the Silk Route to Europe. That idea became the seed for the whole adventure. Another helpful book was Christopher I. Beckwith’s Empires of the Silk Road. The Beckwith convinced me I needed the story to involve steppe cultures, and in that way I found Jack Weatherford’s The Secret History of the Mongol Queens, which inspired the character of Steelfox. I also found R.A. Stein’s Tibetan Civilization helpful. A particularly fun form of research was watching the mammoth Japanese-Chinese collaborative documentary The Silk Road. I can hear the Kitaro soundtrack even now — along with the Silk Road Ensemble music I played over and over during the research, until my family begged me to stop! I also dipped into Journey to the West and the accounts of Marco Polo, and a fascinating modern travelogue, Ultimate Journey by Richard Bernstein. TQ: Which character in the Gaunt and Bone series (so far) has surprised you the most? Who has been the hardest character to write and why? Chris: I was the most surprised by the the scrappy bandit Next-One-A-Boy in The Scroll of Years, who goes by the name Snow Pine in The Silk Map. She has a habit of taking over every scene she’s in. I didn’t originally imagine her being so central to the storyline. As for difficult to write … well, it’s hard to pick just one. In The Silk Map there’s a magic carpet who interrupts the main narrative with first-person observations. I haven’t written a lot of first person narration, let alone unreliable first person narration, so that was an interesting technical challenge, one that leaves me wishing I had even a fraction of Gene Wolfe’s skill in that area … Walking Stick in The Scroll of Years, because he’s used as either an honorable adversary or a difficult ally, veers awfully close to being a stock character, the hard-case Confucian teacher. Avoiding that stereotype is a challenge. There’s a blind warrior-priest, Katta, in The Silk Map, but because Katta also has the power to perceive supernatural evil, his blindness is a somewhat sidelined issue (there’s a lot of supernatural evil in The Silk Map!) Katta would be cool and competent with or without his second sight, but I worry the point might get lost. Another character in The Silk Map, Northwing, has shamanistic training that involves becoming somewhat androgynous. In hindsight I might have thought through this aspect of the character more carefully — in particular the narrative keeps calling Northwing “her,” undermining the character’s own statements. In all these cases I see opportunities for improvement. I’m grateful I can revisit all four in the next book. 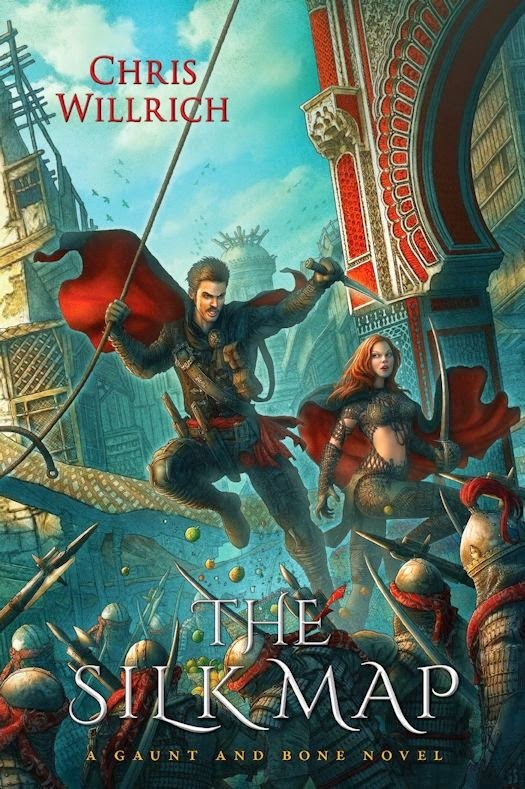 TQ: The Gaunt and Bone series is Fantasy Adventure. What appeals to you about writing Fantasy? Are there any other genre or sub-genres in which you'd like to write? Chris: In fantasy you can really zero in on a particular mood or atmosphere. It’s dream-like that way, and dreams can crystallize issues, characters, conflicts, and emotions in powerful ways. But beyond that, it’s just plain fun. There are a lot of other things I’d like to try. I’ve written science fiction in short form, and I’d love another crack at a long-form science fiction tale, probably either near-future thriller or far-future space opera. I’d also like to try epic fantasy sometime, as contrasted to the Gaunt and Bone stories, which are more sword and sorcery. I’ve thought about a time-travel saga with romantic comedy elements. (Yeah, I watch Doctor Who.) Mysteries are interesting, whether realistic, fantasy, or science fiction. Someday I might also like to do something in the vein of Robertson Davies’ Deptford Trilogy, realistic fiction but with an interest in religion and mysticism. Chris: I’m working hard on a third Gaunt and Bone book for Pyr, The Chart of Tomorrows. This one may or may not be the last of Gaunt and Bone, but it will resolve the major unfinished business from the other two books. Chris: Thanks very much for the opportunity. 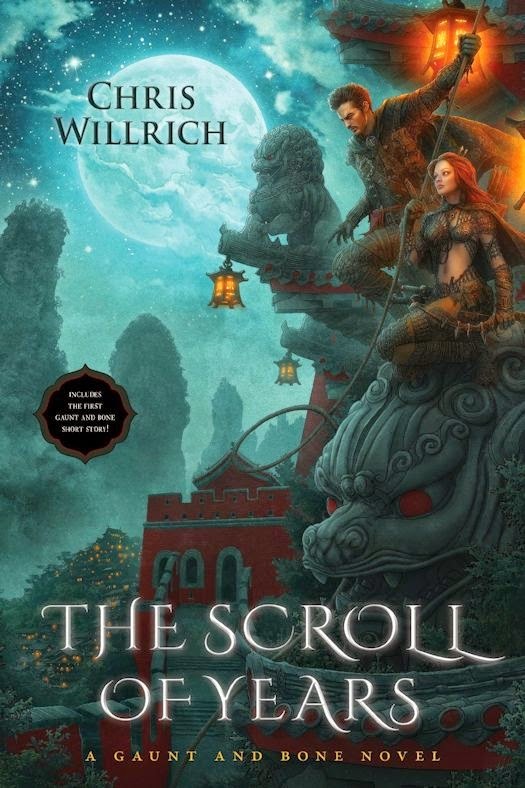 It's Brent Weeks meets China Mieville in this wildly imaginative fantasy debut featuring high action, elegant writing, and sword and sorcery with a Chinese flare. Chris Willrich is the author of The Scroll of Years, the first Gaunt and Bone Novel, and the sword-and-sorcery tales of Persimmon Gaunt and Imago Bone. Until recently he was a children's librarian for the Santa Clara County Library System, in the San Francisco Bay Area. His work has appeared in Asimov's, Beneath Ceaseless Skies, Black Gate, Fantasy and Science Fiction, Flashing Swords, The Mythic Circle, and Strange Horizons. What: One entrant will win a paperback copy of The Silk Map (Gaunt and Bone 2) by Chris Willrich from The Qwillery. Who and When: The contest is open to all humans on the planet earth with a mailing address. Contest ends at 11:59PM US Eastern Time on May 26, 2014. Void where prohibited by law. No purchase necessary. You must be 18 years old or older to enter. wow!!! This looks awesome :) Thanks for sharing! I read a great review about this book not too long ago. Incredible covers. I'm looking forward to catching up with these books.